Since March 1, 2006, Austrian driver’s licences have been issued in the handy format of a check-card. Furthermore, the new driver’s licence fulfills the guidelines of the European Union. Specialized Austrian security features such as the security colour effects, the surface texture with microprint and the tilting picture are secure against forgery. The blank driver’s licences are personalised by laser engraving technology. OeSD is able to handle the switch to check-card-format driver’s licenses envisaged in Austria as part of its e-government by ÖSD® solutions. From the January 21, 2013 on, new issued Austrian driver’s licences will have to be renewed every 15 years. 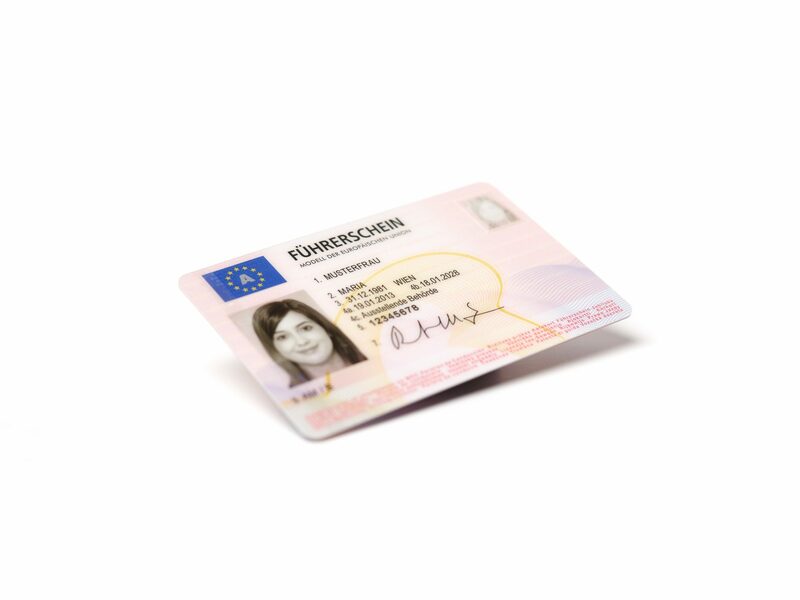 At the same date the OeSD introduced a new model of the Austrian driver’s licence with several new innovative security features and a modernized design. You can find more infos on the Austrian driver’s licence at www.fs-info.at (german only)!